Super Street Fighter IV Arcade Edition was one of the many titles blighted with GFWL. It was also one of the many games hit by the platform’s all too late closure, leaving players wondering if it had a future on PC. The unfortunate answer to that question has now been answered: it’ll be making the move to Steam, but without its DLC, premium or free. 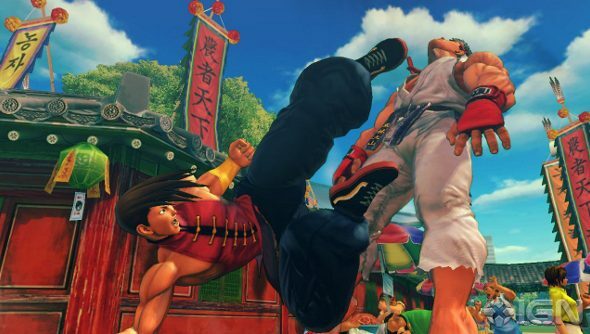 Capcom revealed the transition plans for the fighting game on its website, explaining that it was looking to transfer users over to Steamworks since Ultra Street Fighter IV is also about to hit steam. The transition takes place on May 30th, and what players will need to do depends on their version of the game. Two brief guides explains the process for those who purchased the game on Steam, and those who used the now defunct GFWL marketplace. It’s not until the very end, without explanation or apology, it is revealed that no paid for or free DLC will transfer over. That’s the end of the post. A bit of a bombshell, really. Street Fighter IV didn’t exactly have a dearth of DLC, and presumably that’s now utterly useless. The lack of clarity is undoubtedly frustrating to players who must now be wondering if they’ve wasted their money. Will there be a way for them to claim the DLC on Steam? At least a discount, maybe? In the case of BioShock 2, when it left GFWL, everyone got a free copy of the Minerva’s Den DLC, even if they had never purchased it. And if there are no alternatives, and players are left without their DLC, then it does start to make digital content seem temporary and out of our control.